Place your credit card or PayPal order using the Buy Now Form below. 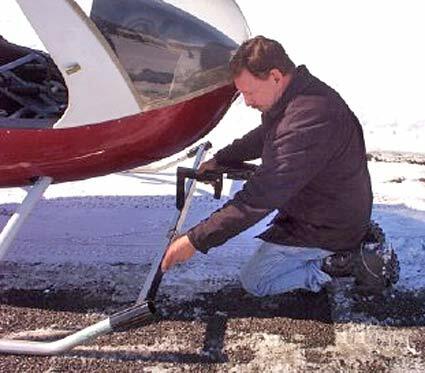 Move your helicopter with ease on any surface with this easy-to-attach, one-person dolly. 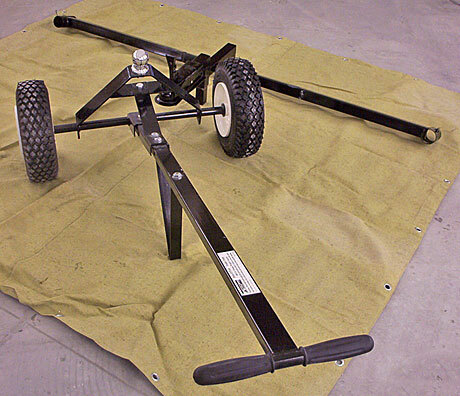 Simply slip the cross-bar sleeves on the front of the skids, finger-tighten the wingnuts, attach the cross-bar hitch to the twin-wheel dolly unit and tow! 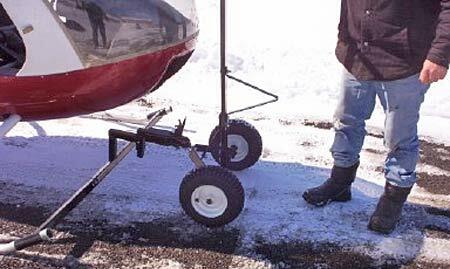 Once attached, the wheel unit provides easy leverage to lift the front of your small- to medium-sized helicopter. The new, improved skid holder (bottom photo) is rubber-lined and will adapt to a variety of tube sizes; plus, the skid holder telescopes and swivels to adapt to the exact spacing between the skids and angle of the skid tips. 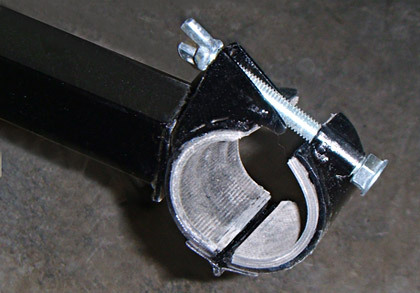 Completely safe for aluminum or steel skids of any diameter. 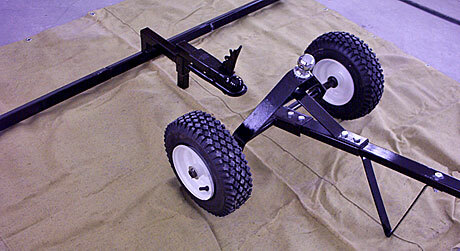 Use this for your RotorWay, Mini-500, Safari, Robinson, Bell, etc. 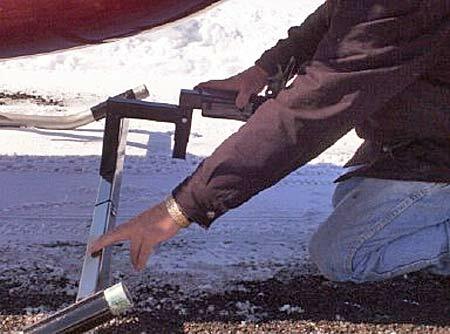 You will be able to move your helicopter without lifting and pushing the tail boom. Nothing else comparable on the market! 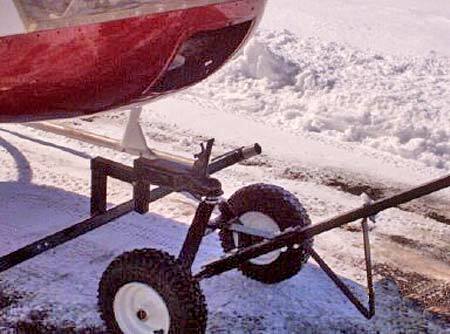 Your Heli-Dolly is customized for your helicopter. 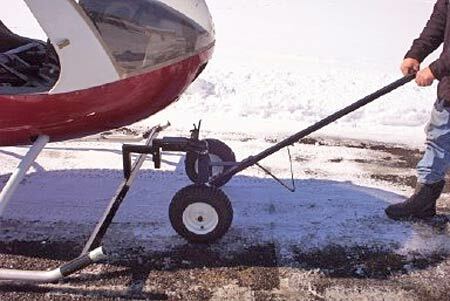 When ordering, please specify helicopter model, skid diameter and distance between the skids.